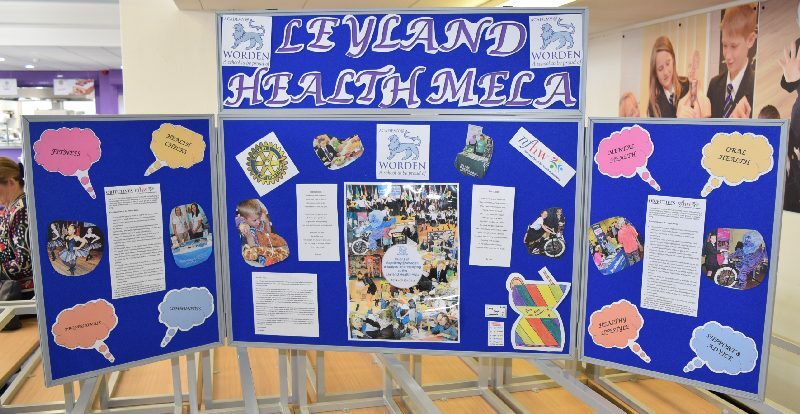 The annual Leyland Health Mela is a well-established and popular event in the town’s calendar. 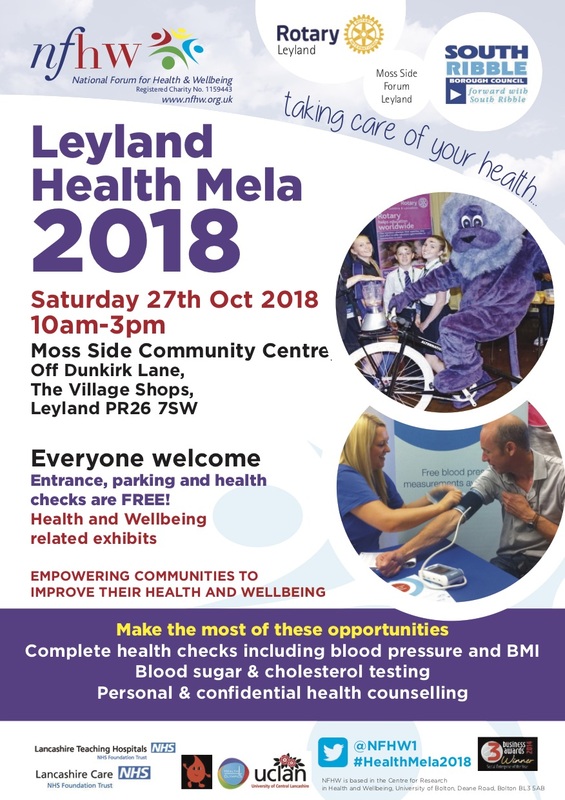 This year will be the 7th Leyland Health Mela and for the first time, the event will be hosted by Moss Side Community Centre, Dunkirk Lane, PR26 7SW on Saturday 27th October 2018. 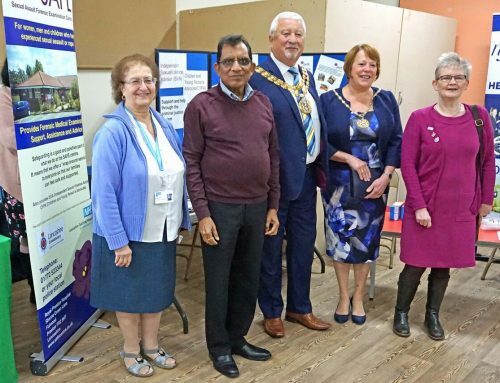 It’s a family friendly festival in the South Asian Tradition – a social event focusing on community health and wellbeing. Bring the family along between 11.00 am and 3.00 pm. 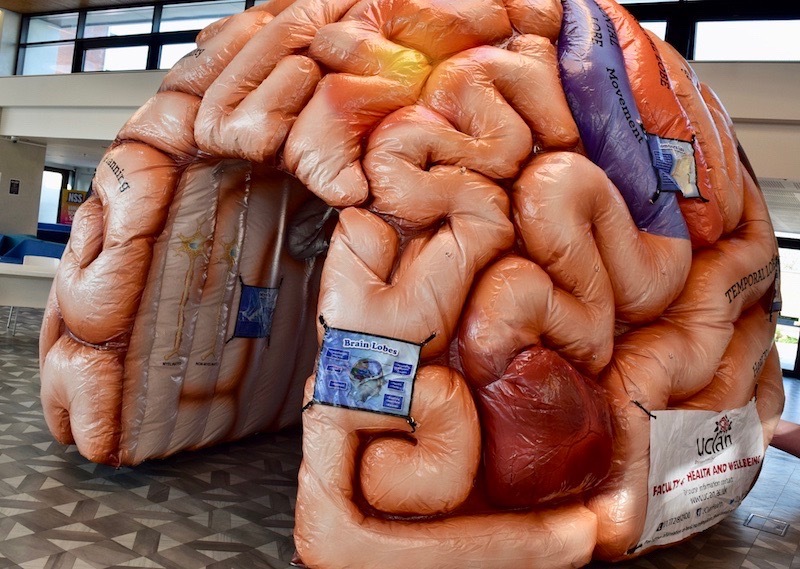 With free entrance, health-checks and local parking, you will be sure to find something there to make your visit a memorable one! 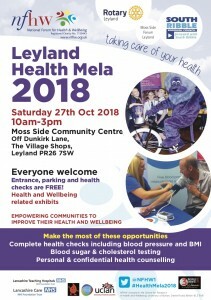 The Health Mela offers a matchless opportunity to take advantage of the extensive range of health- related information and support available from local organisations including; Lancashire Teaching Hospitals Foundation Trust, Lancashire Care Foundation Trust, Leyland and Lancashire County Councils and other NHS and voluntary bodies. 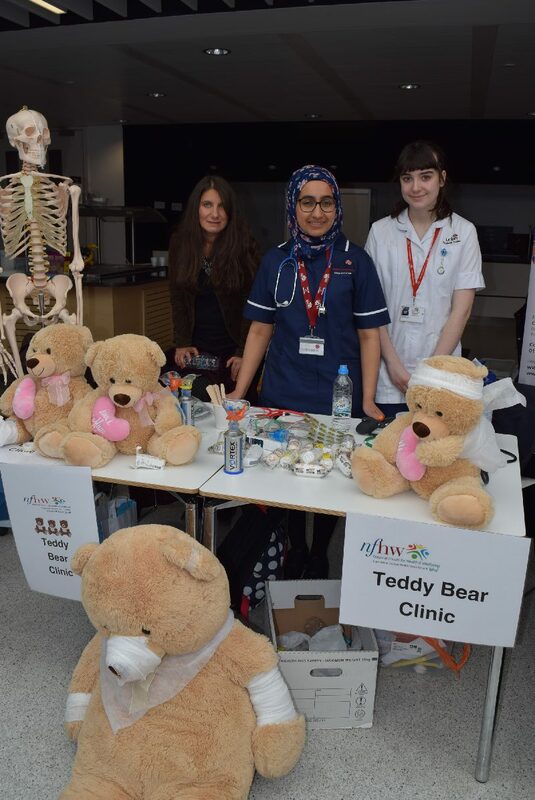 You will find a carefully selected package of stalls, activities and health-checks available, all backed by friendly information and advice from volunteer health professionals. 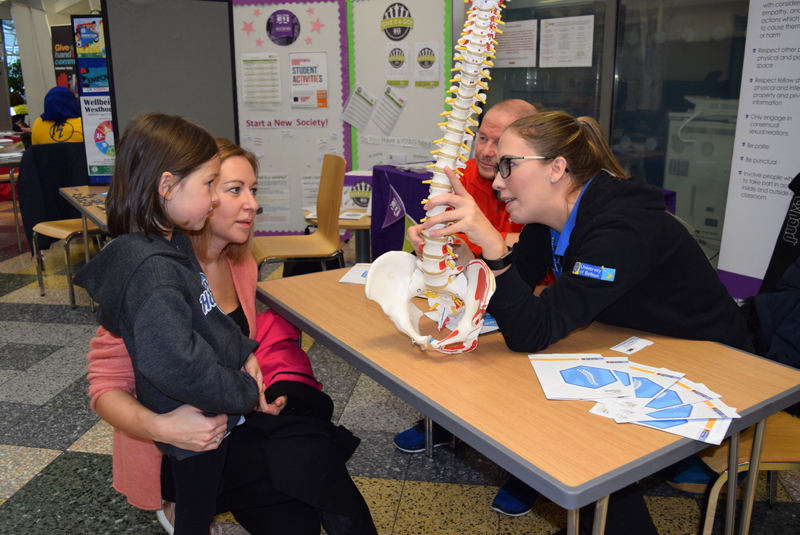 Get yourself a free, comprehensive health MOT in a relaxed, informal setting. 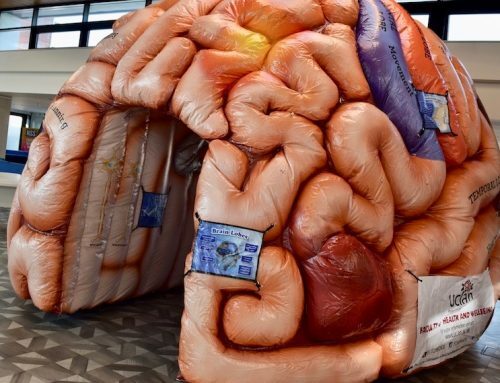 Our friendly, approachable experts will check your height and weight, BMI, blood pressure, blood sugar and cholesterol levels, and follow this up with practical health advice. No appointment is necessary! 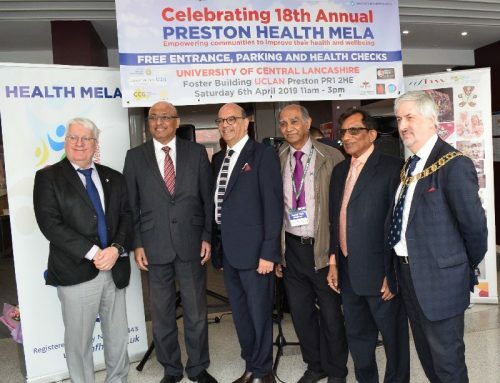 Enjoy the informal atmosphere of the Health Mela to meet old and new friends. 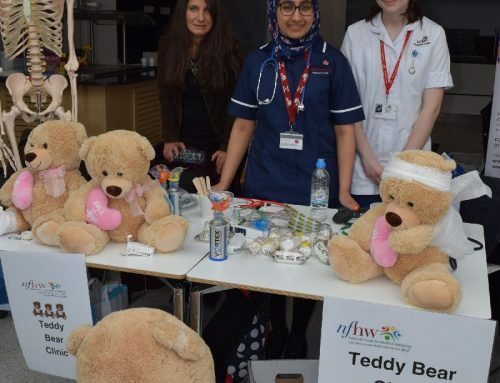 Pedal away on the ‘Smoothie Bike’ to make yourself a healthy and refreshing drink or watch the children check-out the health of their favourite furry companion at the ‘Teddy Bears’ Clinic. Overall, you’ll find the Mela an unforgettable mix of functionality and fun and for some visitors it will provide a life changing experience. 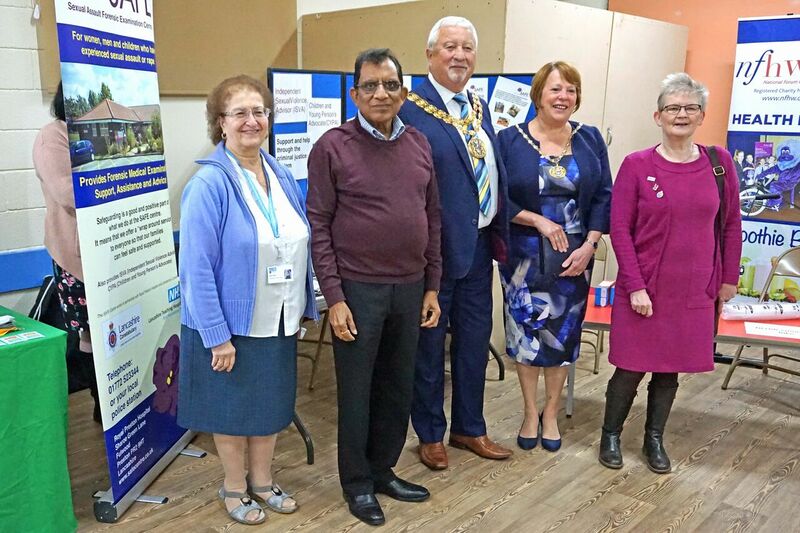 ‘The decision to locate this year’s health mela in Moss Side Community Centre was taken to emphasise the importance of grass-roots community involvement in the promotion of local health and wellbeing. We are already delighted by the extent of the help and support we have received from the people of Moss Side in planning the event. This involvement, combined with the support received from local NHS and voluntary organisations and the local authorities, promises to make the 2018 Mela a great success.